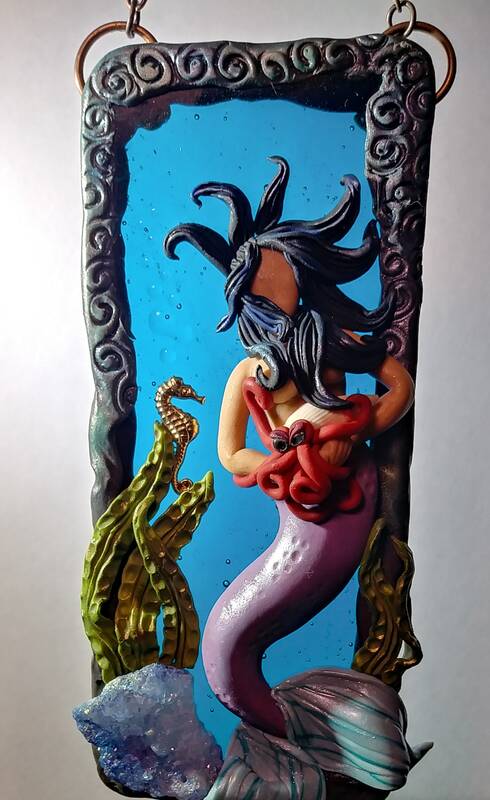 A beautiful seedy, bubbly ocean blue stained glass is the base for this frolicing Mermaid and her Octopus pal. A gold seahorse and blue druzy crystal add sparkle to her seaweed home. 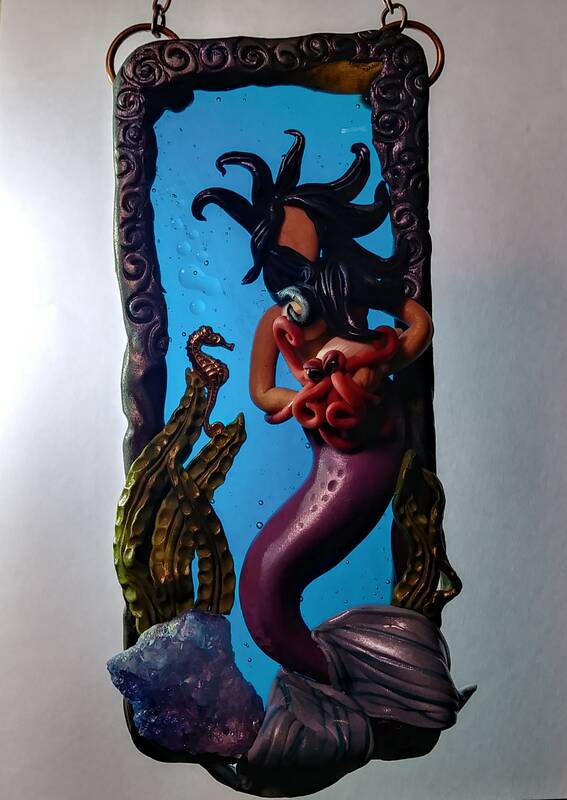 She is hand-sculpted from high quality polymer clay and one of a kind. This piece hangs from dark copper chain and is approximately 5.5 x 2.5 inches long. 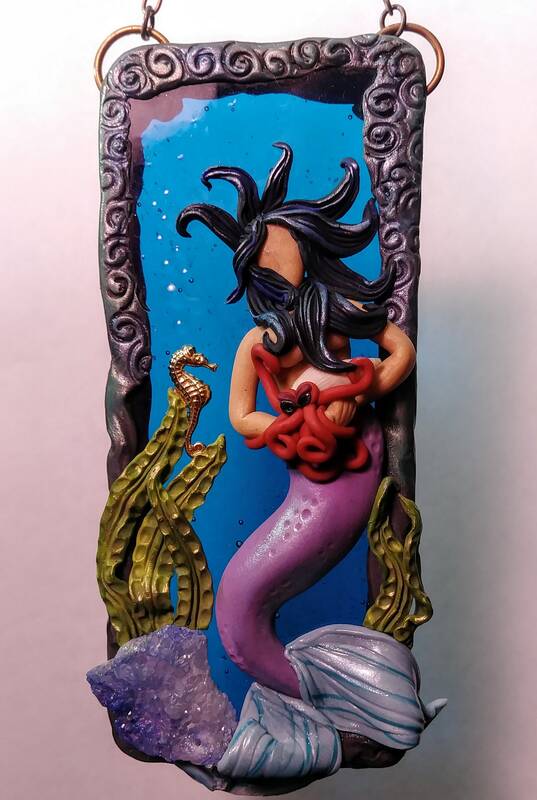 A perfect gift for your favorite Mer.